Club mock up clip of the incident. 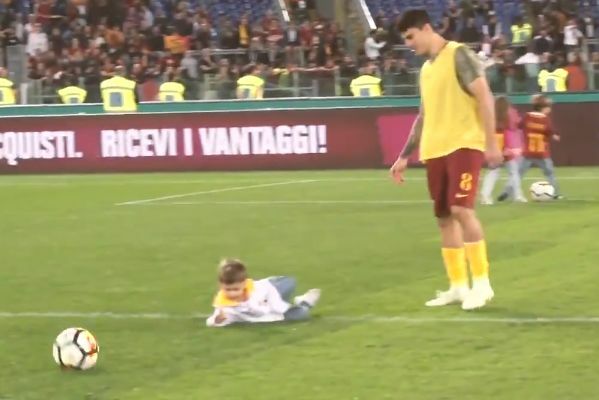 Roma’s Diego Perotti tripped his son while having a kickabout on the pitch following the end of their Serie A season. The club mocked up a clip of the incident, commenting “this is why VAR is needed in the Champions League”. Club president Jim Pallotta said it would be an “absolute joke” if the Video Assistant Referee was not introduced into the competition after a number of decisions went against them in their semi-final defeat to Liverpool.